Subaru of America teases fans with a second image of the all-new fifth-generation 2019 Forester on their Twitter page ahead of the New York International Auto Show. Fans don’t have to wait for the press to show the new SUV, Subaru says they will show the reveal live on their Facebook page. Subaru will officially uncover the all-new 2019 Forester SUV at the press event tomorrow at 1:45 PM EST at the Subaru booth. Don’t expect major changes on the outside of the new small SUV. It will get a new grille design, more cladding on the bumper, along with restyled headlights. The rear continues on the C-shaped tail light theme seen on the current model, but the new model will likely have a wider tailgate opening and there's a chrome strip running underneath the black bumper. 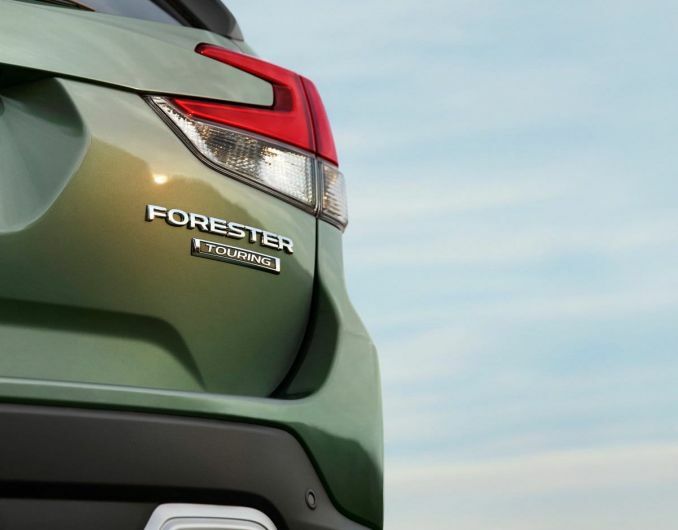 The big changes will come underneath the all-new fifth-generation Forester. It will ride on the new Subaru Global Platform first introduced on Impreza and then Crosstrek. Forester is the third model in the stable to get the new architecture that will transform ride quality, driving dynamics and safety in the newly-redesigned 2019 model. As for powertrains, Subaru confirmed Forester will not get plug-in-hybrid power. In a nutshell, the new underpinnings will reduce vibrations and give the new Forester a smoother ride quality. The body and chassis will be 70-100 percent more rigid which will translate to improved steering response, and the increased rigidity of the suspension mounting will reduce body roll by 50 percent compared to current models like we see in the new Impreza and 2018 Crosstrek. Subaru’s fifth-generation all-wheel-drive 2019 Forester will also get improved safety. The new Global Platform underpinning the small SUV will improve crash energy absorption by 40 percent over present models keeping occupants safer in the event of a crash. Impreza and Crosstrek which already have it, can survive an impact by a heavier SUV weighing 2.5 tons at 66 mph. After an impact, the two vehicle’s A and B-pillars retain their integrity protecting the occupants. Subaru will reveal the all-new 2019 Forester tomorrow from the New York International Auto Show. You can tune in to the Subaru Facebook page and watch it live Wednesday at 1:45 PM EST. Hmmm, they did ditch the turbo engine. Oh well, I'll be looking for another option in 2020.